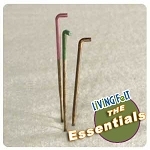 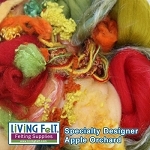 This exquisite and bountiful designer pack is a lovely hand picked assortment of various fibers that are especially suited for wet felting and nuno felting...and they will spin up gorgeous art yarns, or can be carded into lovely art batts. 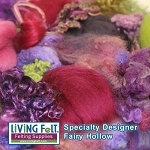 Use these hand-selected designer packs for interest, depth and texture in your felting or spinning projects. 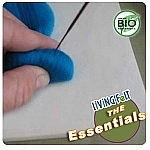 These particular colors were based on fashion 2018 color projections for s bold color palette. 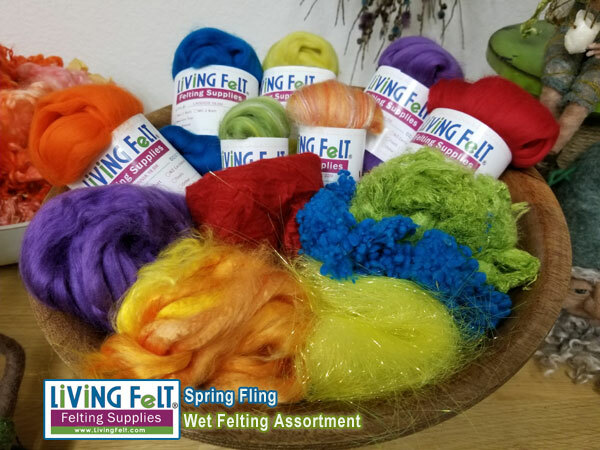 *These packs are designed after they way our founder, Marie Spaulding likes to felt = a complementary palette of color AND texture. 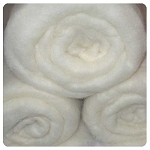 With our latest additions of even more Australian merino and incredible luxury fibers, she says they are truly her "dream packs". 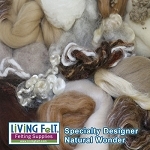 Luster and Texture fibers including our beautiful combed tussah silk top, silk hankies, wool nepps. 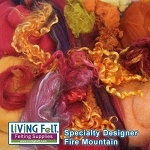 This pack has five colors at 2oz each of Merino Top in the colors Zinnia, Lagoon, Citron, Violet, Red 1oz each of Merino Silk Blends Mango and Honeydew, 1/4 oz of Silk Hankies in Garnet1/2 oz of Bamboo or Tussah Silk in complementary colors (shown here Violet Tussah, Bamboo Citrus Wool Nepps Lagoon, Sari Silk Waste in Kiwi and 1 pack of Angelina Fiber in Lemon Sparkle ... Wow!